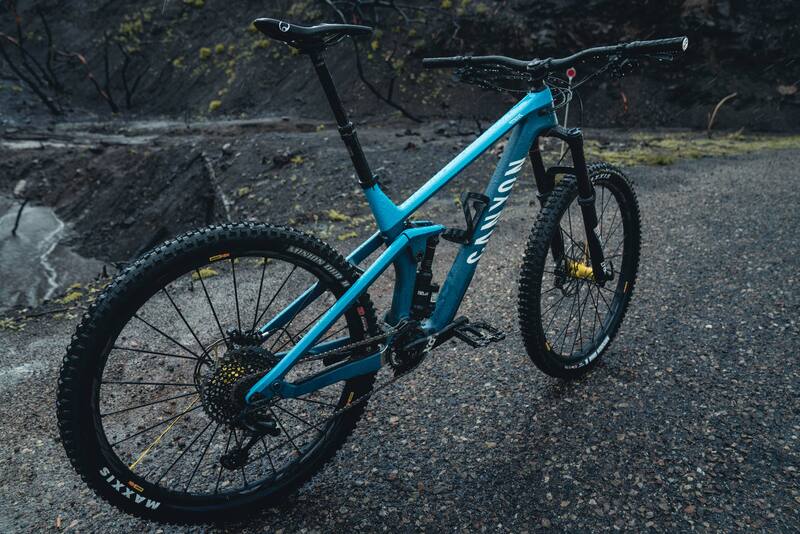 Meet the new 2019 Canyon Strive, the German brand’s first long travel 29er. Although it may be Canyon’s first long-legged big wheeler, Canyon is no stranger to making world class enduro bikes. 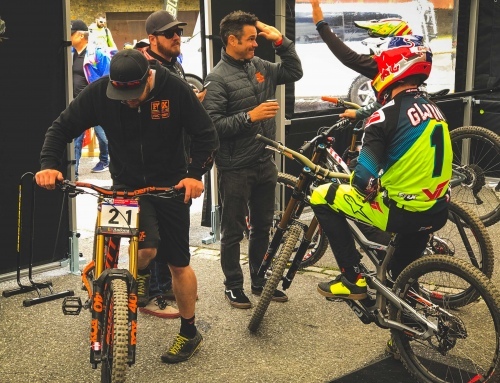 The Canyon Factory Enduro Team has made it to the podium steps twice in the Enduro World Series team championship. The next generation of that legacy is the Canyon Strive. 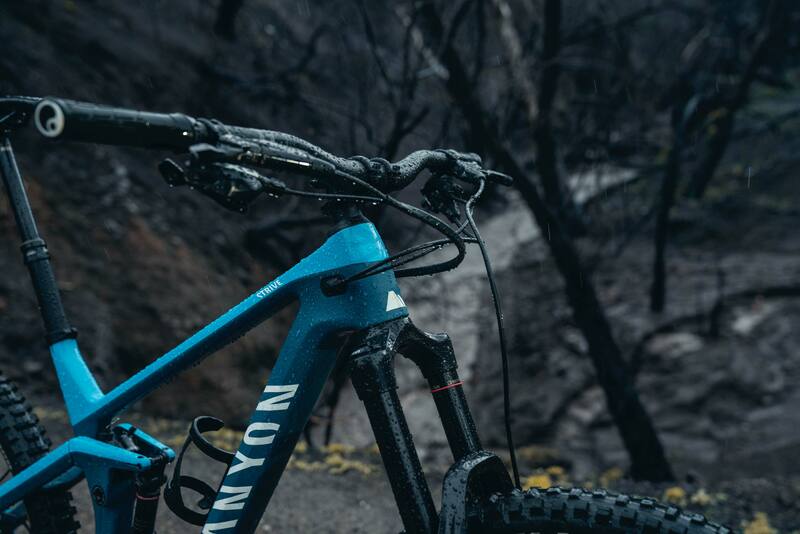 Though it may seem like another 150/160 bike at first glance, the Strive has something hidden up its sleeve to make it a versatile trail slaying machine. It’s called Shapeshifter 2.0. Arriving an hour early, I swung the wheel into Canyon Bikes North American HQ. German to the core, the U.S. headquarters in Carlsbad, Ca. oozes modern industrial design, clean lines, and sharp edges. Inside, they have a gleaming show room and run free demo rides with all their bikes. Soon other editors trickled in and we all shared our excitement about seeing the new bike. We got in line and filed up stairs to the conference room and laid our eyes upon the new Strive. 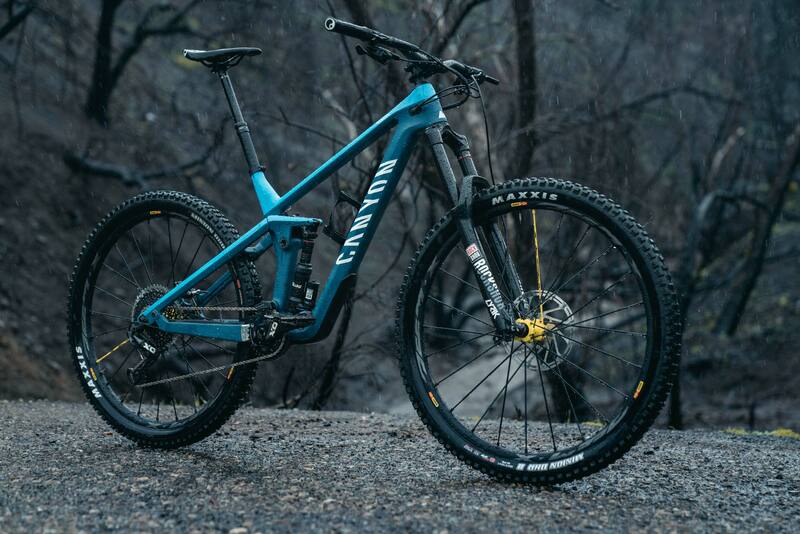 Canyon was clear in the presentation that even though this bike was designed to race at the highest levels of the EWS, that doesn’t make it unapproachable or unusable for a weekend warrior. Aside from the Canyon Factory Team, they also took input from many of the staff at Canyon. Guys that ride like you and me. 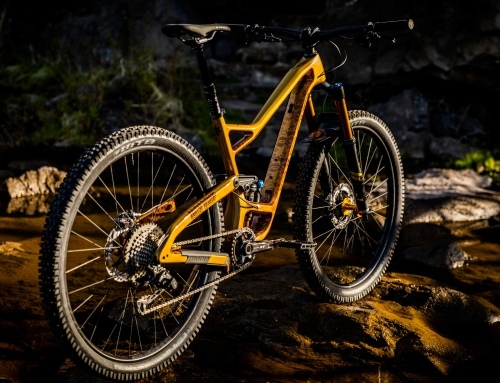 In other words, this bike will make the average Joe ride like an EWS pro… We wish. The biggest change to the bike aside from the obvious wheel size increase is the second iteration of Shapeshifter. Canyon fans may recall the first version of Shapeshifter, which was part of the last Strive. It was a great idea, but it wasn’t perfect. V2 gets rid of all the rough edges. Under the skin, Shapeshifter 2.0 is a small gas spring that is tucked neatly into the linkage above the shock. The gas spring (like a mini shock) is able to extend and contract via two levers on the bar. They feel similar to a dropper post, but with an audible and tactile “click” and “clack” sensation. Canyon liked that so much they named the levers Click and Clack instead of climb and descend. Click is to climb, Clack is to descend. In the climbing mode, the spring extends and elongates the linkage, raising up the bike’s BB, steepening the head angle, altering the suspension kinematics, and limiting travel to 135mm. Flick the Clack lever on the bar, and the bike squats down into descend mode as the gas spring shortens. In this mode, the BB is lower, head tube is slacker, and the full 150mm of travel is available. Unlike the old version, it’s either engaged or not. There’s no in between or weird dance to actuate the system. For your viewing pleasure we removed the plastic cover on the system for all the photos in this article. Geo changes from a 66 to a 67.5 degree head angle, and the seat angle moves from 73.5 to 75 degrees. 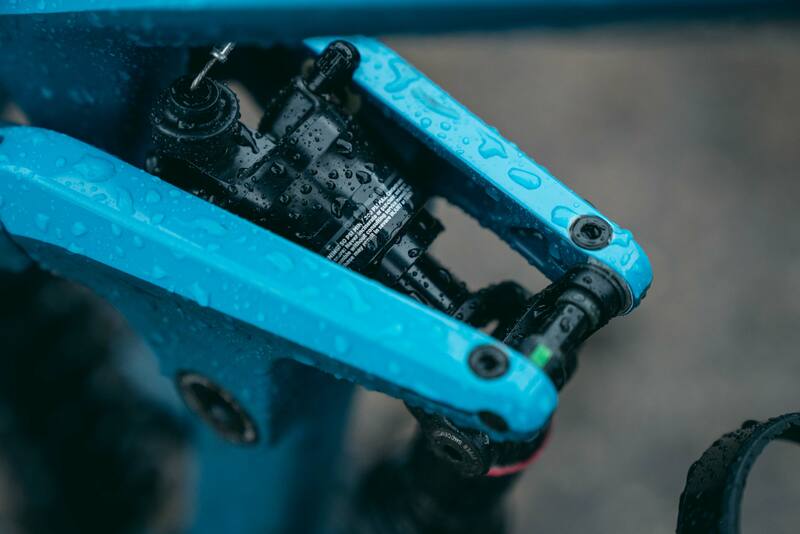 There is no lock out built into the system, but because the kinematics are altered with the linkage shift, there’s a dramatic improvement in the pedaling platform. For those that are curious, Canyon says the maintenance and rebuild interval is similar to a shock. If things go completely awry, complete replacement of the gas spring unit costs under $100. Our favorite part? 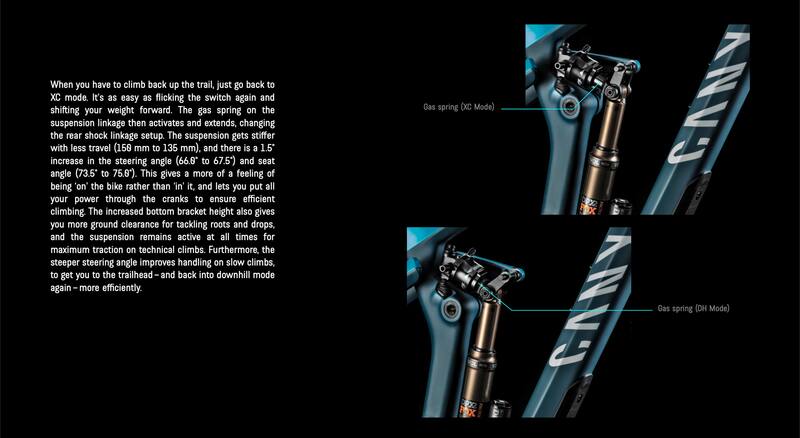 There’s no strange lever placement, moved dropper or things protruding above the bar height. There’s other travel adjustment systems on the market, but most aren’t integrated as cleanly and ergonomically. Originally developed for the Canyon Sender (check out our review here) Canyon’s Triple Phase suspension design is proven on multiple platforms and podiums. With a characteristically progressive ramp, the design offers a supportive mid stroke and hard ramp at the end to reduce bottom out harshness. While many platforms err on the side of compliance at the cost of liveliness, Canyon chooses the latter. It makes for a bike that’s far more playful than the 150/170mm of travel and 29-inch wheels would suggest. The bike is only available in carbon fiber, but with two frame options. 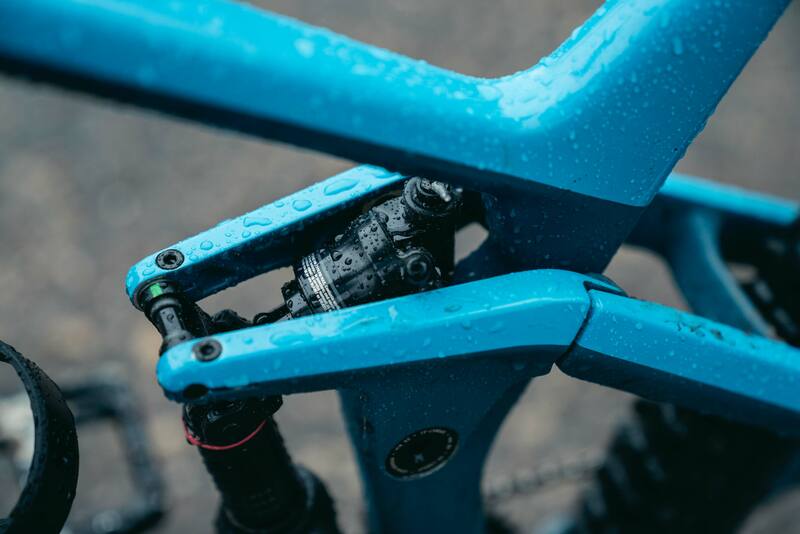 The High Performance frame found on the 5.0-8.0 build levels is the standard carbon frame, while the CFR is the top of the line carbon frame found on the two range topping builds. An altered carbon layup, fiber type, alignment and resin accounts for the difference in weight (and price) between the two– 300 grams. 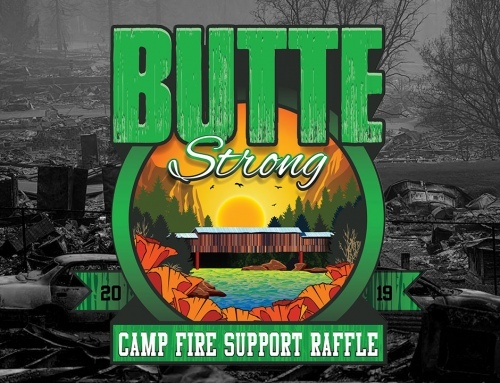 Both are equally stiff and durable. Both also have small details that matter, like clever cable guides and frame ports, as well as integrated downtube and chain stay protectors. In typical Canyon fashion there is a full line of builds offered at varying price points. 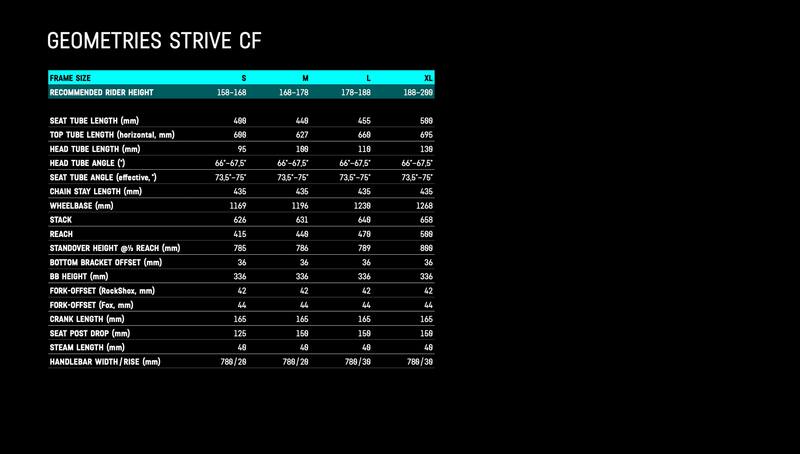 The largest difference aside from cost savings is that the CF models have a 160mm fork, and the CFR models have a 170mm fork. 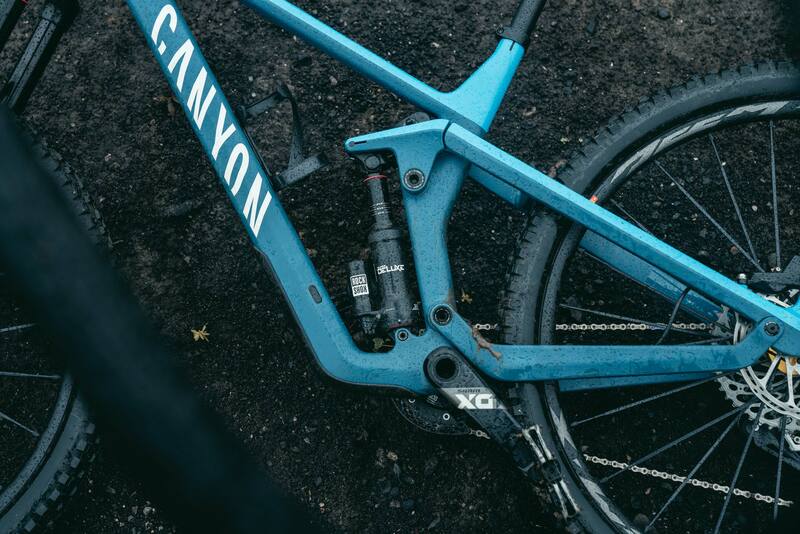 Over forking the bikes by 10mm indicates that Canyon expects those top of the line builds to be used by aggressive riders either racing or riding like they are. Canyon chose to spread all builds across the board with SRAM and Shimano spec. 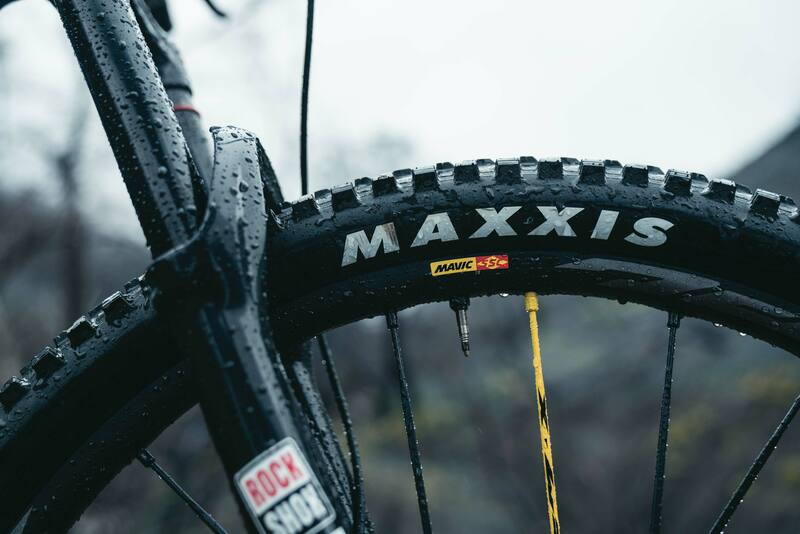 Our test bike is an entirely SRAM affair. Every single model also has a chain guide/bash guard on top of the narrow wide chain ring. The full build sheets and geo chart for all levels are available below. Note the diagram that shows geo changes with the Shapeshifter system. After the presentation at Canyon, we were able to get some good time in on the bike. Canyon wasn’t messing around, taking us on a 28 mile ride to get intimately acquainted with the bike. Over the course of the ride we covered almost every terrain possible. We hit high alpine single track with snow, steep climbs covered in rock, smooth flowy single track, and incredibly rocky downhills. 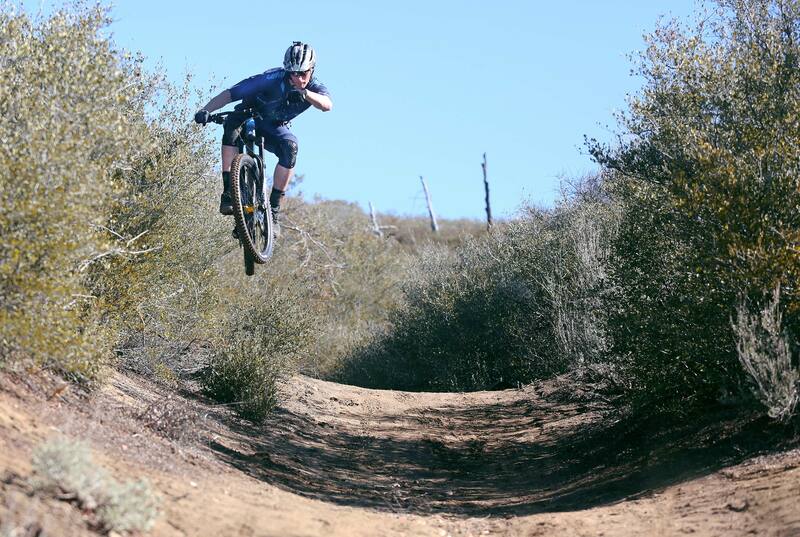 Heck we even ended the ride at a jump spot frequented by Kyle Strait! 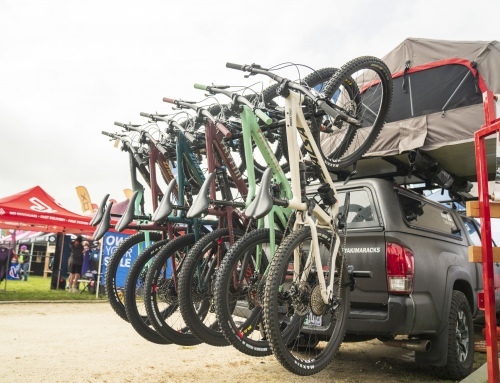 The ability to do all that on one bike is what makes long travel 29ers so popular. The diversity of the ride was no accident, serving as proof of the versatility of the Shapeshifter system. Our ride began with a steep, unrelenting climb up soggy soil. If you’ve ever climbed in the mud you know it feels like dragging a pile of rocks up the hill behind you. While I can’t say I made the climb with ease, there was a very noticeable difference with the Shapeshifter system. In the 150 position, the bike felt sluggish, making me work for every pedal in the soft dirt. After pressing Click (the climb switch) the bike picked up and delivered my pedaling efforts with increased efficiency. During out of the saddle efforts, of which there were many, the bike hammered down and resisted pedal bob. The steeper the climb, the more beneficial the change was. The on the fly travel adjustment also proved to be unexpectedly beneficial when not climbing. On mellower sections of flat trail where pedaling was required to keep speed, I found myself “clicking” to improve efficiency. Pretty much any time sustained pedaling is involved, the system shows its benefits. I even went as far as using it on tight switchback downhills with impressive results. In areas where steering responsiveness is key, the instant change in head angle is a huge advantage. Of course, what fun is a long travel 29er if you don’t get to use its full potential. See an aggressive section of trail coming up? Smack the “Clack” lever and the bike transforms beneath you. Yeah, I agree. It would have been better to call the levers climb and descend or something along those lines, but oh well. In the slack mode, this bike is a monster truck, plowing over whatever rocks, roots, or small children are in your path. On jumps, the progressive ramp of the suspension design still keeps the bike lively and eats up large impacts from flat landings or rocks. Canyon has crafted a truly unique bike with the latest generation of the Strive. Many brands are taking a stab at the “quiver killing” bike, but Canyon has made one of the best efforts we’ve seen with the 2019 Strive. 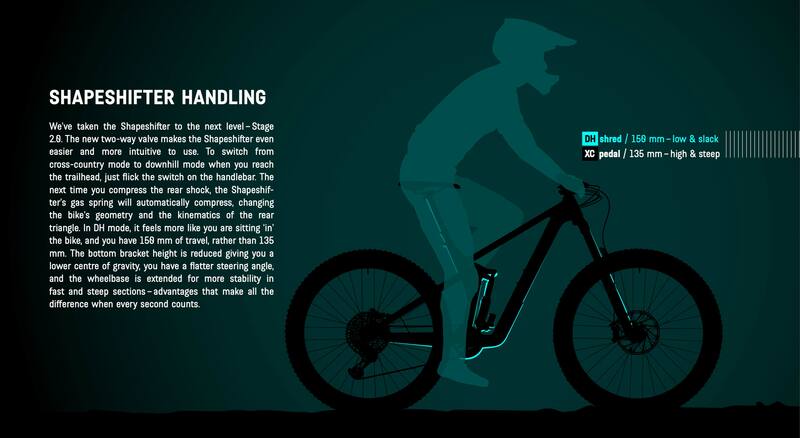 It’s able to transform from XC machine to downhill slayer at the Click or Clack of a lever. While the highly progressive suspension may be polarizing for some, if you’re a charger it will reward the harder you push the bike. Canyon took the time to attend to the details on this bike, creating something for weekend warriors and EWS racers alike. While a 150 29er is a lot of bike for most riders, it becomes much more attainable when it transforms to a 135mm bike in an instant! There’s also the price. 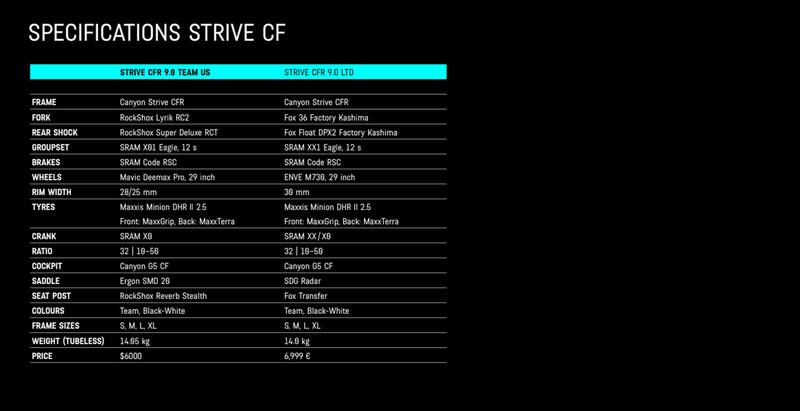 As is characteristic with the consumer direct brand, Canyon has priced the Strive at very attainable levels. 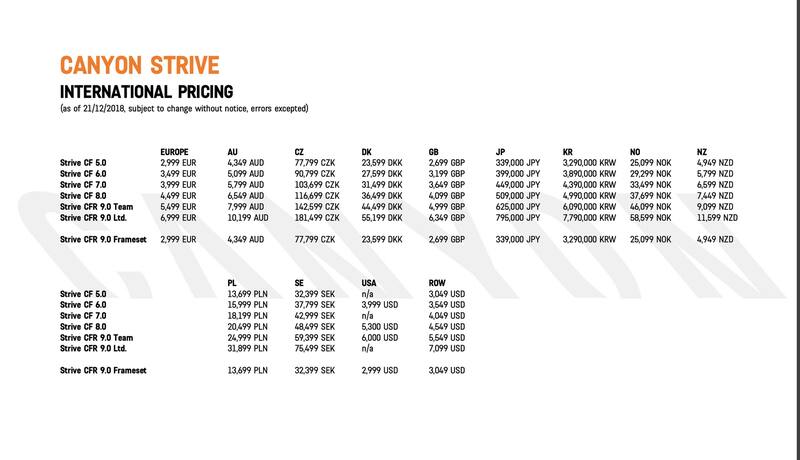 Check out the full pricing sheet below. For more information, head to Canyon’s website and of course, stay tuned for a long term review in the future.